The Wright R-3350 is a powerful American designed, supercharged, radial aero engine of 18 cylinders of some ~3,350 cu in (~55 L) It was built by the Curtis–Wright Corporation and first bench test run in May 1937. It is a very complex motor and was not actually test flown until 1941. Officially called “Duplex Cyclone” but commonly just called the “Thirty Three Fifty”, each cylinder has a capacity of 3 litres. Interestingly the name “Wright” is from the original Wright Aircraft Company started in 1909 by Orville and Wilbur Wright to sell their aeroplanes and engine designs. 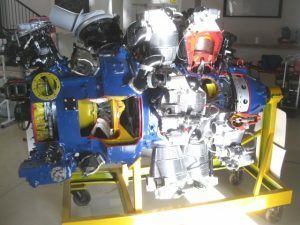 The engine was first used on the famous long range American Boeing B-29 Superfortress bombers that dropped the atomic bomb on Japan in WW11. The engines were initially very unreliable with overheating of the rear cylinders a common issue. Refining and improving the reliability the engine was given top war time priority. By the end of WW11 the engines were not only very reliable but featured an internal supercharger plus a “power recovery turbo” on the exhaust. This turbo used the engine exhaust gases to drive a high speed turbine that was linked via a shaft back to the engine crankshaft. It added ~20% extra power. In this form the engine was also called a Turbo Compound. The R-3350 could consistently deliver ~3,000 bhp using 100/110 Octane petrol. (power would vary depending on the octane rating of the petrol used). 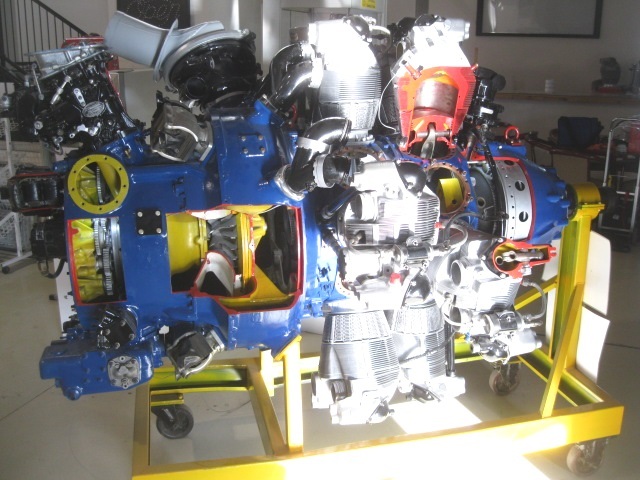 At HARS, Connie and all our airworthy Neptune maritime reconnaissance anti submarine bombers are powered by the powerful Wright R-3350 engines. HARS has a beautifully presented cutaway display of a R-3350-32W which served in a RAAF Neptune (see picture above). Manufactured: Built by Wright Aeronautical from 1937 until the late-1950s.